Are you ready for the truth? 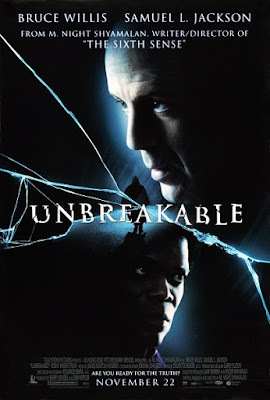 If so, listen as Kyle joins us to break down M. Night Shyamalan's superpowered thriller Unbreakable. We discuss the twists and turns of Shyamalan's filmography, examine the movie's place in the superhero subgenre, and try to predict what strange surprises may await us in Shyamalan's upcoming follow-up film Glass. Warning: Contains explicit language, spoilers (for this film and others in Shyamalan's filmography, particularly Split), and breakfast drink fashion coordination. Have you had a miraculous escape from injury? What would your preferred superpower be? Did you see that twist coming? Leave a comment and keep the conversation going.